Arctic medical chillers have served the critical-duty needs of imaging equipment, laboratory and surgical suite applications since 1986. Models are pre-engineered to meet major medical equipment specifications of General Electric, Siemens, Varian, Hitachi, and other manufacturers. Arctic’s M-Series chiller line of products and accessories are guaranteed to meet precision, flow, pressure and delivery requirements for accurate, dependable cooling. The M-Series includes compact water-cooled self-contained and air-cooled chillers with full redundancy. Arctic also offers an unparalleled commitment to service. Component access, local part availability and servicability are a priority. Our in-house and trained field service team are available if needed on site, and easily accessible via our 24-hour service hotline. Magnetic Resonance Imaging equipment (MRIs) require very precise temperature control in widely fluctuating loading conditions depending on the scanning conditions. 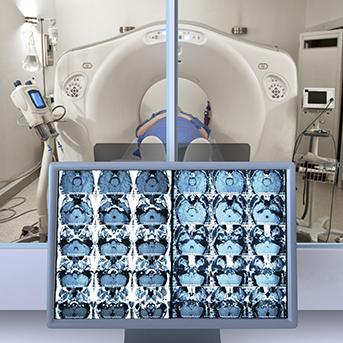 To provide the most precise images, the chilled water cooling the MRI must have extremely stable operating performance. Arctic’s M-Series chillers incorporate specially designed refrigeration compressors to match the varying loads that are typical of most MRIs from 10-100% loading conditions and provide precise fluid temperature control. 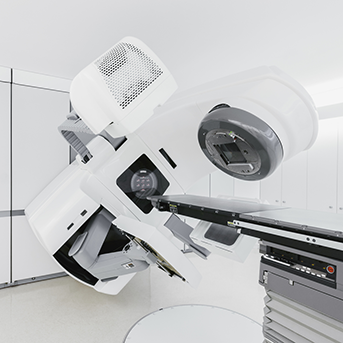 Linear accelerators have various operating states that produce loads ranging from very minimal loads in the idle state, to proportionally much larger loads in the actual “beam-on” or treatment state when radiation is actually being directed to a very specific cancerous tumor. These large load fluctuations require the use of a chiller that can match these loading conditions and provide close temperature control to maintain the proper equipment cooling. Arctic’s M-Series chillers incorporate specially designed refrigeration compressors to provide this close load tracking even in vastly fluctuating load conditions. Surgeons, especially in cardiac surgical suites, require much lower ambient temperatures to reduce patient metabolism during procedures. Typical coils and infrastructure are not designed to accommodate these requirements. Arctic can provide a series of low temperature chillers to provide precise temperature control and operating conditions required specifically for surgical rooms and suites. 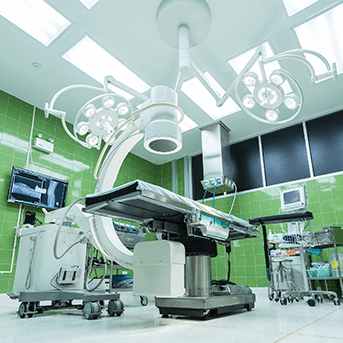 Systems are available as integrated packages or modular configurations to meet the specific requirements of the surgical suite. Arctic’s Surgical Suite Case Study provides more details on our chiller solution.